If you are someone who is unhappy with your smile because of crooked, crowded, overlapping or protruding teeth then you will know how daunting the treatment options can be. Although wearing orthodontic braces isn’t the only solution by any means, it is often the most effective treatment for people who want to keep their teeth natural and unaltered. 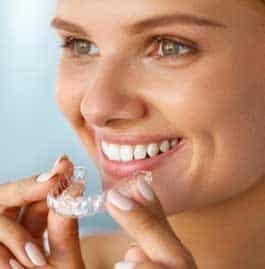 The problem is that although wearing orthodontic braces may well be the best solution, many adults are discouraged from using the treatment because traditional braces can be unsightly and unattractive to wear and very expensive to have fitted and maintained throughout the lengthy period of treatment. A newer and popular option is to use invisible braces like the Invisalign® system. With this method a series of nearly invisible aligners are worn over the teeth for about 20 hours a day, usually for between 6 and 24 months. The downside of using Invisalign® system is that the full treatment can work out even more expensive than tradition braces with treatments ranging from about $3500 to $8000. The good news is that there is a more recent and rather exciting option that allows people at home to straighten and correct their teeth up to 30% faster and all for a fraction of the cost of either conventional braces or Invisalign®. This is where we introduce The Smile Direct Club. SmileDirectClub (formerly SmileCareClub) offers a direct to consumer orthodontic service for straightening malpositioned or crooked teeth with affordable, invisible braces. With the combination of an innovative business model and the latest orthodontic technology, the SmileDirectClub claim their system can straighten teeth 30% quicker and at a fraction of the cost of conventional treatments. The treatment can be done remotely, which means that you don’t have to go to the dentist, and you can have the smile you want for a price you can afford. Smile direct club founders Alex Fenkell and Jordan Katzman met at summer camp in their early teens and quickly became best friends. Years later as business partners, they mused over the unhappy memories they had wearing braces throughout their childhood. They both felt that there must be a better, more cost-effective way to help people transform their smiles. In 2013 they hatched a plan to disrupt the traditional dentist business model by combining invisible teeth aligners, new technology, and an innovative pricing model. With the help, expertise, and capital of the Camelot venture group, the Smile Direct Club began bringing teeth straightening orthodontics direct to the consumer in 2014. What exactly is the service they offer? SmileDirectClub offers patients affordable, invisible braces to align the teeth and give you a straighter, brighter smile. It costs anywhere from $3,000 to $7,000 to fix dental problems such as crooked teeth or bite issues using traditional braces or Invisalign® branded aligners. SmileDirectClub aligners are around 70% cheaper than traditional orthodontic treatments, costing between $1,850 and $2170. Not only that, but SmileDirectClub’s system could straighten your teeth 30% faster than traditional invisible aligners. This is because customers are required to change their aligners more frequently than other companies. “Each set of aligners has a varying thickness, and by changing aligners more frequently, we’re able to continually apply force to create movement, which allows teeth to make smaller movements more quickly and more comfortably,” a company spokeswoman told Business Insider. First of all, check online to see if there are any clinics in your area. If not, then do the free online consultation to see if the treatment might be suitable for you. This can be done the website, and if you may be right for the treatment, you can request an evaluation kit to do at home. If you live close to a clinic, you can request an appointment online, and then you can go and get your 3D scan and evaluation done. The scan in the clinic will only take about 30 minutes, and making your impressions at home with the evaluation kit will take the same. What locations does Smile Direct Club operate in? There are currently 46 SmileShops nationwide. 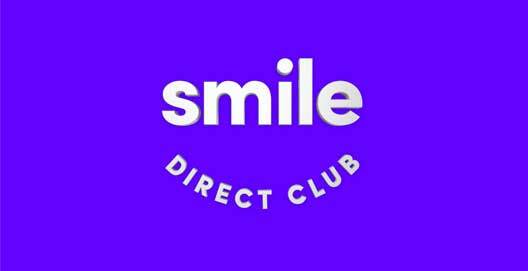 Smile Direct Club has been committed to expanding their network of shops quickly so if you find there is not a branch near you at the moment then it is still possible that one could arrive in the near future. 3115 E Indian School Rd. What about patients who can’t get to a clinic? If you don’t live close to a SmileShop, don’t worry – you can get assessed from the comfort of your own home! This is because SmileDirectClub offers at-home impression kits, which allow you to make impressions of your teeth from your home in less than 30 minutes. The kit includes detailed instructions on how to make your impressions and includes everything you need, including the return packaging. Order your kit online and receive it about a week later. It’s up to you when you want to do the impressions, and once you return it you’ll hear from a SmileDirectClub dentist soon after. Order your kit online and receive it about a week later. It’s up to you when you want to do the impressions, and once you return it you’ll hear from a SmileDirectClub dentist soon after. How does the home evaluation work? If you want to use the home evaluation service, just order your kit online here. This kit will be mailed to you in a couple of days, and it includes everything you need to make the impressions of your upper and lower teeth along with evaluation photographs. The kit also includes an instruction guide that details all the necessary steps for achieving the best possible evaluation impressions. In addition to the contents of the evaluation kit, you will also require the use of a timer and a smartphone or digital camera to time the process and take the photos to download to the Smile Direct Club website. If you are evaluated as being a good candidate for the Smile Direct Club System and you have decided that it is the right teeth straightening method for you, it will typically take about 3 or 4 weeks for your first aligners to arrive. What are the advantages of using the service compared to visiting a local dentist? Visiting a local dentist requires a lot of time and a lot of money; sitting in waiting rooms and paying a dental consultation cost with every visit. SmileDirectClub requires just 30 minutes of your time when you visit a SmileShop for your 3D scan. If you don’t live close to a SmileShop, you can start the treatment process from your home, using their at-home evaluation kit, allowing you to make impressions of your teeth to send back to SmileDirectClub to see if you are a suitable candidate. If you aren’t, you’ll get a full refund of the evaluation cost, and if you are, SmileDirectClub treatment will save you between $3000 and $5000 compared to traditional orthodontic treatment. What are the disadvantages of using the service compared to visiting a local dentist? Compared to undergoing orthodontic treatment with a local dentist, SmileDirectClub patients don’t have the option of developing a relationship with their doctor. For some people, this is a huge disadvantage. Also, because the treatment is remote, you don’t get regular check-ups to make sure your treatment is working as it should. Similarly, if you lose or damage a set of aligners, you will have to wait for your new set to arrive, which takes longer than it would if you were undergoing treatment at a local dental practice. Are there alternative companies who offer similar solutions? Yes. Invisalign® braces use the same technology as SmileDirectClub. In fact, SmileDirectClub gets their clear aligners from Align Technology (www.aligntech.com) who are the exact same company who manufacture and distribute the Invisalign® system. This system is available at many dental and orthodontic practices. However, they are very expensive. Therefore, cost-wise, there are no companies who offer similar solutions to straighter smiles as SmileDirectClub. What are the SmileDirectClub invisible aligners? SmileDirectClub invisible aligners are an alternative to traditional braces that realign and straighten your teeth. They are clear plastic aligners that are tight-fitting and custom made to reposition your teeth into their desired place. They are more comfortable and convenient than wire-braces and act much more quickly. 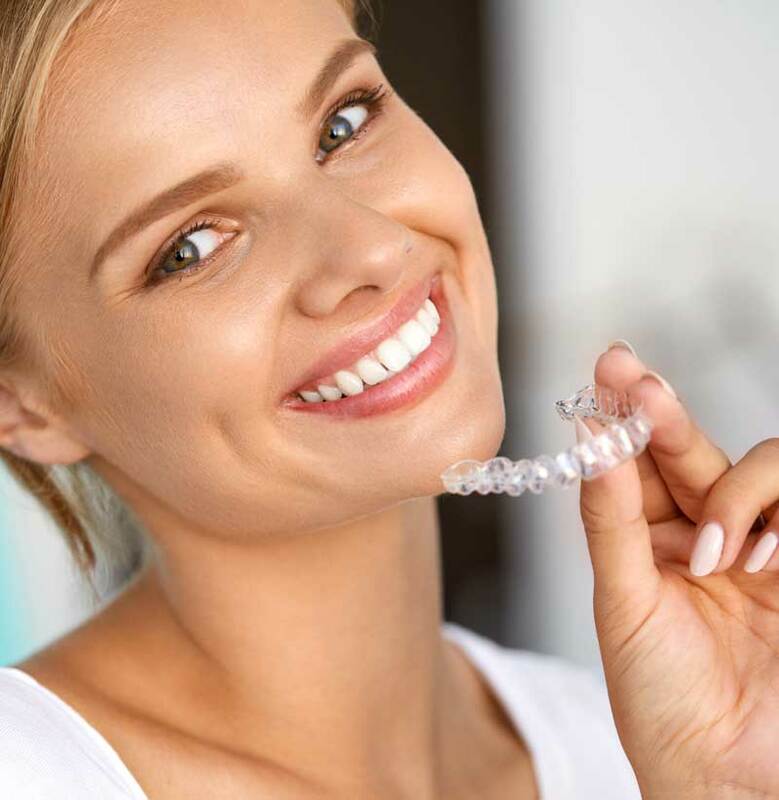 The invisible aligners are each slightly different, which means your teeth are gradually repositioned without the ugliness of traditional metal braces. Each set of aligners is slightly different and has a different level of thickness, which provides your teeth with continual pressure. The invisible aligners come as a set of multiple different aligners. Each set of aligners will make slight adjustments to the position of your teeth. Each aligner is designed and mapped by the SmileDirectClub lab, so every set is tailored to your specific needs. Your treatment plan will tell you how often you need to change your set of aligners, and once you follow this advice, your treatment should be successful. You’ll most likely have to change your set every 2 weeks. SmileDirectClub’s invisible aligners are made of a BPA-free plastic. It is smooth and comfortable, and won’t irritate or cut your cheeks, lips, and gums like traditional metal braces do. Most people will experience discomfort during the first few days of wearing a new aligner. The aligners will apply pressure to the teeth in order to straighten them and you may experience some sensations during the treatment. Don’t worry, this normal and a good sign! This discomfort means that your aligners are working, gently moving your teeth. The pain will go away after a few days, and you don’t get the pain associated with wire that comes with traditional braces. The Smile Direct Club system applies pressure to the teeth incrementally with each new aligner so the force applied to the teeth is spread out evenly over the course of the treatment plan. This keeps the discomfort levels small compared to other traditional braces. Are they suitable for everybody? Unfortunately, they are not. 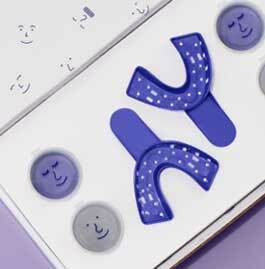 SmileDirectClub’s aligners are designed for people who require mild to moderate orthodontic treatment to realign their teeth. Don’t worry, they do not take on patients who they don’t think their treatment will be a success for. This means that even if you pay for your evaluation and you aren’t a suitable candidate that you will be refunded any money you paid. Are children suitable for the treatment? SmileDirectClub will only treat children over the age of 12 who have all their permanent teeth. However, anyone under the age of 18 must get their Medical/Dental History form signed by a parent or guardian. What is the 3D scanning for? 3D scanning allows SmileDirectClub to capture a digital map of your mouth, including your teeth and gums. This scan is used as the basis for your treatment, and the doctor overseeing your case will use the 3D scan to design your treatment. How long does a 3d scanning take? 3D scanning takes about 30 minutes. That’s all. No waiting around. What about people who don’t live near a clinic and can’t get a 3D scanning done? If you don’t live near one of the clinics and can’t get a 3D scan done, don’t worry! SmileDirectClub offers a home evaluation service, which means you can have your full evaluation done from the comfort of your home! Can patients see how their teeth will look after the treatment? Yes, once you have submitted your impressions, the lab will render a 3D visualization of how your teeth will move during the treatment, and how they should look once you’ve finished your treatment. Depending on the amount of alignment your teeth require, patients are often treated for between 3 and 10 months. This is different for everyone, and some people’s treatment will be quicker than others. You will find out more after your evaluation and assessment. Do patients need aligners for both their upper and lower teeth or can they just have one? When you change the position of your upper or lower teeth, your bite will change. Therefore, it is recommended that you get aligners for both teeth. What are the “chewies” and what are they for? These help to correctly position your aligners on your teeth when you put them back in after eating, drinking, or changing your set. You chew on them like you would chew on gum, and they push your aligners onto your teeth. How long do patients have to wear their aligners for? You should wear your aligners for as long as possible throughout the day. Generally, you will remove them when you eat, but this depends on the treatment plan we have developed for you. Do patients have to visit the dentist during the treatment? Because our treatment is specially tailored for you, you should not need to visit a dentist during your treatment. Of course, if you are concerned about your treatment or your overall dental health, do make sure you visit your dentist. What happens if an aligner is lost or damaged? If you lose an aligner, or your aligner gets damaged, you should call and order a replacement aligner as soon as possible. Your replacement will cost $50 and should arrive at you within 7 days of placing your order. In the meantime, use your previous aligner to make sure your teeth don’t revert back to their original position. After the treatment is finished, will the teeth stay straight forever? As with any orthodontic treatment, there is a requirement to wear a retainer to ensure your teeth are held in their new position. For the first two weeks after you’ve finished your treatment, you have to wear a retainer all the time, but after that, you need to only wear it at night. Retainers are available from Smile Direct Club for $99. How do the monthly shipments work? You have to periodically change your aligners, and we will ship your new sets every month. This shipment will come with clearly marked aligner packages, so you’ll know exactly in which order to use them. If you are availing of the monthly scheme, your shipment will be processed around the time your monthly payment is. The initial evaluation will cost $95. The entire treatment will cost between $1850 and $2170, depending on how you choose to pay. If you pay for the complete course up front, your treatment will cost $1850. If you want to take advantage of the SmileyPay™ payment plan, the final cost will be $2170. At the end of your treatment, you will probably want to buy a set of retainers to make sure your teeth stay in their new position. This will cost you an extra $99. You can pay using any of the following cards: Visa, MasterCard, American Express and Discover. Is there any kind of payment plan? Yes. If you want, you can pay in monthly installments. To avail of this, you need to pay a $250 down payment, and then $99 per month. What happens if the patient pays the evaluation fee but the invisible aligners are not suitable for the. can they get their money back? If you’ve paid for your evaluation, and SmileDirectClub aligners are not suitable for you, you can be fully refunded. If you have paid for your evaluation and it is determined that SmileDirectClub treatment is not right for you, you will be fully refunded the $95. If your dental insurance covers orthodontic treatment, you’ll be able to be reimbursed by your insurance company when you’ve paid for your SmileDirectClub aligners. SmileDirectClub does not accept payment directly from insurance companies, but they do provide you with the forms you need to claim your reimbursement. Is the service available internationally? Unfortunately, SmileDirectClub is currently only available in the United States, but you never know! Convenient – The “direct to customer” business model is more convenient for most people. The whole process can be done from the comfort of the customers home. Inconspicuous – Unlike conventional braces, invisible teeth aligners are barely noticeable. Many adults are put off having their teeth straightened because they don’t want to wear unattractive and unflattering metal orthodontics. For these people, invisible braces are the perfect solution. NextAre you at high risk for tooth decay?